Date: 28TH, 29TH AND 30TH DECEMBER 2009. Time: 10.00 a.m. - 4.30 p.m.
Venue: Behind Shoppers Stop, Vasanth Towers M/s. Kensium Solutions Pvt. Ltd. office premises. The objective of the seminar is to provide an understanding of the business value of IP and related risks to companies. The seminar will start with a session by Mr.Vijay Kumar, IP Analyst, I-WIN IP Services, providing vivid description of Intellectual property Rights along with an insight into the use of Intellectual Property for business advantage. In this session, the participants will learn about various types of Intellectual Property which can add value to businesses and the modes by which such value can be obtained. The second session of the seminar on Patent protection in INDIA will be delivered by Mr. Parvez, Patent Analyst at Kensium LLC. This session will deal with various steps to be taken for protecting inventions through patents in an organization. From this session, the participants will gain an understanding on what inventions are and how they are protected in INDIA. The next session by Dr. Jay Kesan, founding member of Kensium, will deal with patent system in USA and how USPTO will analyze patents. The session will cover case studies on patent requirements in USA. In this session, the participants will learn about the USPTO Process and procedures along with current USPTO stand on patentability. The last session on Trademark Protection and Enforcement will be delivered by Mr.Vijay Kumar. 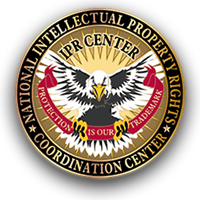 The session will provide insight into choosing and adopting trademark and protecting and enforcing trademark rights. 5. Trademarks protection and enforcement 3.00 to 4.00 PM Mr.Vijay Kumar M.
4. Trademarks protection and enforcement 2.30 to 3.30 PM Mr.Vijay Kumar M.